Laser Genesis therapy restores your skin’s youthful glow and appearance by smoothing out uneven texture caused by aging, sun damage, or scars. You will see a reduction in pore size, reduction of minor imperfections, and an overall healthier complexion. Laser Genesis can improve and will also boost the body’s natural collagen production, providing continued improvement to the appearance over coming weeks. The individual treatment results are subtle, but the overall effect of multiple treatments can be quite dramatic. The Laser Genesis procedure utilizes laser technology to safely, discreetly, and effectively treat uneven skin texture, scars, large pores, and diffuse skin redness. It is a comfortable, non-ablative, and non-invasive form of skin therapy. 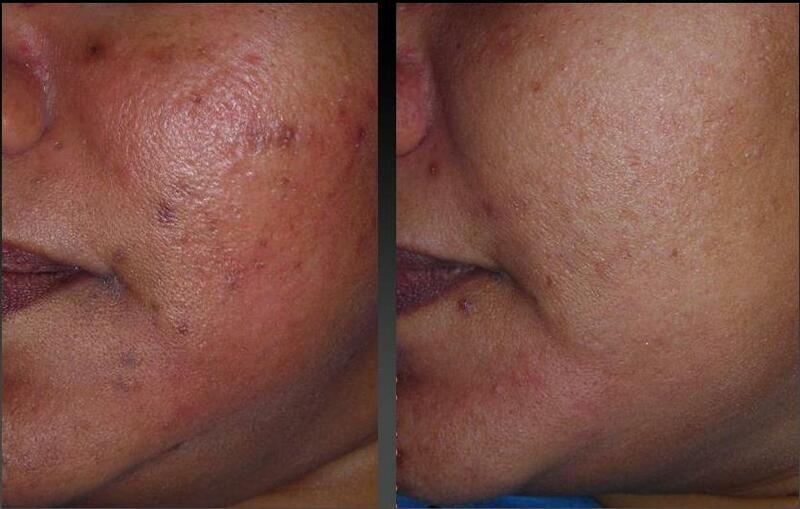 Laser Genesis Skin Rejuvenation is most effective on the face and neck. Additionally, it is routinely used in the plastic surgery branch of our practice to treat scars on other parts of the body to reduce redness and speed the overall recovery time from scars. Patients often describe the treatment as relaxing and therapeutic. You will experience a gentle warming of your skin’s surface during the procedure as the laser hand piece is moved back and forth about an inch above your skin. You can expect to return to normal daily activities with the use of sunscreen for any outdoor activities. Avoid sun exposure before and during any stages of the treatment. No active lesions, broken skin barrier, or metal facial implants in treatment area. Although most patients report few if any side effects, the most common is slight redness that disappears within a few hours after the treatment. Upon your consultation we will discuss the benefits, risks and alternatives of the treatment with you beforehand.